JACKSON, MS, March 3, 2017, Ferol W. Hettick, Director of Compliance at Trustmark National Bank, has been recognized by Elite American Executives for dedication, achievements and leadership in banking. Mr. Hettick has nearly 40 years of experience in financial services and has spent the last 30 years working in compliance full time. 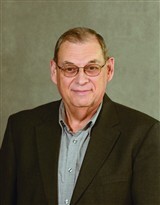 He joined Trustmark National Bank in 2005 and has become an integral part of the bank’s success. An expert in consumer regulations, Mr. Hettick is responsible for reviewing previous day in the banking world, working on projects, and implementing new rules and regulations. Prior to attaining his current position, Mr. Hettick held a variety of positions in the financial and telecommunications industries. He was a compliance manager at AT&T for six years and the director of compliance at Synovus Financial Corp. His experience exposed him to all facets of the industry and he became well versed in OFAC, the bank secrecy act, financial risk and the various processes and procedures associated with banking. Mr. Hettick is a certified regulatory compliance manager through The Institute of Certified Bankers and earned a Bachelor of Science in education at Illinois State University. He is also a graduate of ABA Compliance and Graduate Compliance Schools. In his spare time, Mr. Hettick volunteers at his local church and serves on the board of directors for CARHA. He recently returned from a mission trip to Haiti where he brought gifts for more than 1,400 children. Mr. Hettick attributes his longevity in the industry to his dedication and hard work. He endeavors to experience continued growth and stay one-step ahead in the industry. 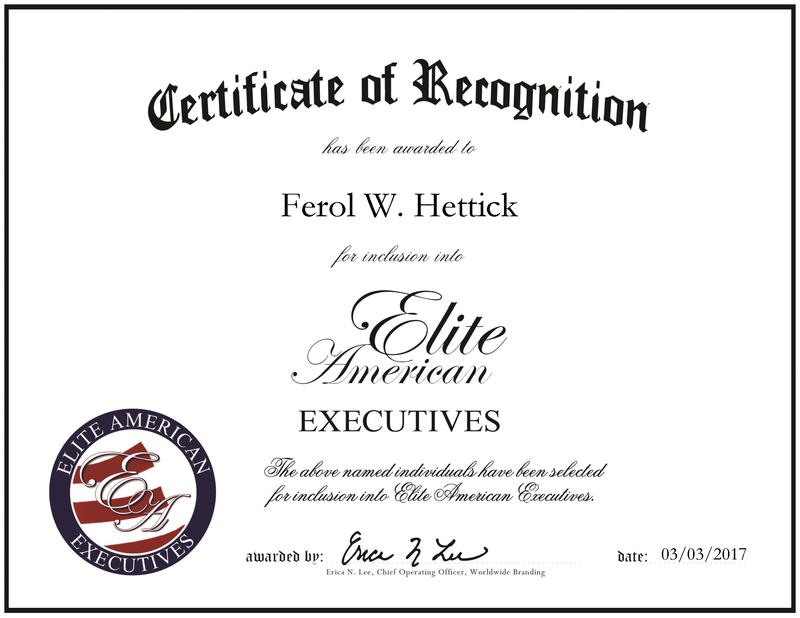 Ferol Hettick was originally selected for inclusion in EliteAMERICAN Executives in 2014. We are proud to be featuring Mr. Hettick again in EliteAMERICAN Executives for 2017. This entry was posted in Banking, Uncategorized and tagged Banking, compliance, director, financial services, Telecommunications, trustmark. Bookmark the permalink.